Your Health is Priceless! - You have Nothing to Lose but Everything to Gain! Hidden in the Ancient Plant! 100% authentic wild Du's tea made at certified tea farm! "An Ancient Story Once upon a Time"
named it the Du's Tree. “The Rare Healing Materials”, and with having a high reputation over the past 2000 years. financial information during this process. 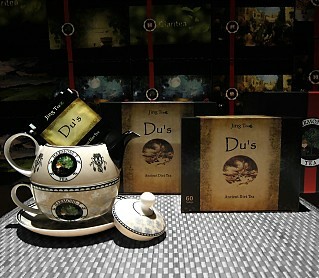 Du's diet tea is made from the authentic wild Du's tree leaves.This tea is not sold in stores, due to the limited supply. at this time. The price may be substantially changing due to the season. Please, to avoid disappointment don't delay. Natural Tea Diet for High Blood Pressure and Obesity. did not change although heart rate decreased by 10%. 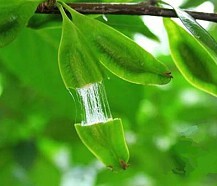 May contribute in the maintenance of a healthy kidney and increase of libido. hormones and increases testosterone levels in the blood, thereby increasing libido in women. to modulates the nervous system. It may help calm an overexcited nervous system and stimulates a depressed one. retention and qi stagnation, abdominal distension and constipated. promotes the reproduction of the liver cells, which helps support healthy liver balance. 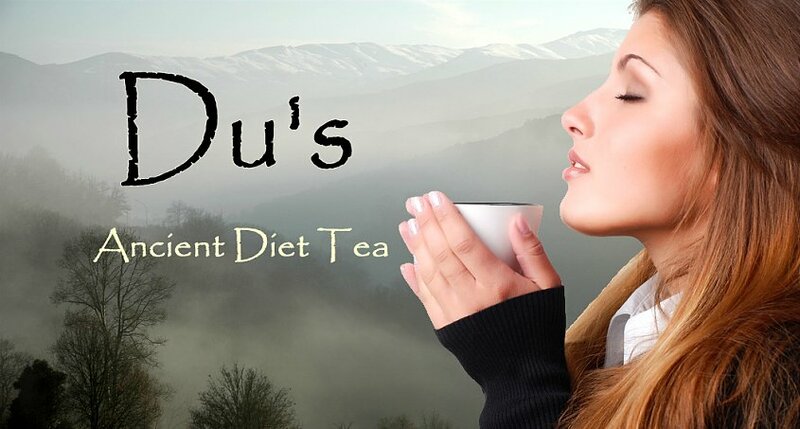 Unlike artificial supplements, Du’s tea is natural and nourishing to your health. Unlike any other tea, it does not contain any caffeine. May assist healthy weight loss. 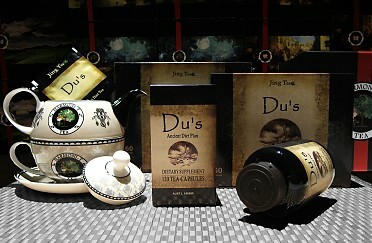 high quality Du’s tea in the morning and afternoon, and most patients lost a significant amount of weight. found there today. The tree is commonly referred to as “The Living Fossil” by modern geologists. Medical’ as being “The Rare Healing Materials”, and with having a high reputation over the past 2000 years. including β-D-dextrose, chlorogenic acid, aucubin, amino acids, and various minerals. and raising it when it is too low. identical leaves and its made tea. and accelerates protein anabolism, which burns calories and reduces the storage of fat. Du's tree leaf tea for approximately 4 weeks. prevent the deterioration of bone and muscle. mop up the dangerous free radicals that are generated after UV exposure. levels returned to youthful levels after taking 20 mg of GPs daily for one month. blood pressure which causes dizziness and sleeplessness. arterial walls, allowing them to expand which may lead to lower blood pressure. cholesterol), and HDL (good cholesterol, which helps to metabolize cholesterol from the arteries). cholesterol. More than 20 papers have been published on the subject with effectiveness reported as ranging from 67 to 93%. dramatically reduced and the increase of the LPO had been controlled. which helps to relax the coronary blood vessels. increased from 51 generations to 59.
tea, such as collagen, may help enhance the contractility of muscle and its functioning. know with high blood pressures." * This tea has given my life back. make sure my readings where right. My blood sugar was 116 and my blood pressure was normal." * "Last Monday, I had blood drawn again. it has dropped another 45 points to 189! compared to 1780, I'd say it's a victory." * "I have what is called Essential Hypertension. sense of well-being. Thank you!" now at a more acceptable level." Lynn S.
pressure without the loss of energy." ready to get some more. (The tea tastes great!)" * Great Tasting Tea Gets My Life Back! use a very large mug at work so it's usually 2 for me. Yes, this is my new everyday go-to tea. time customer and have purchased a considerable amount of product from your organization.